The official Q3 2013 release of UI for Silverlight brought a brand new external theme with a flat modern UI and three color variations – White, Light Gray, Dark Gray. The following topic explains the specifics of the theme's color variations and the available font options. White: White color theme palette. This is also the default variation of the theme. LightGray: Light gray theme palette. DarkGray: Dark gray theme palette. /// Represents theme color variations. /// Represents Dark Grey Office2013 theme palette. /// Represents Light Grey Office2013 theme palette. /// Represents the default White Office2013 theme palette. When using NoXAML assemblies in an application you should merge the necessary resource dictionaries from the corresponding theme assembly (in this case - Telerik.Windows.Themes.Office2013.dll). Alternitevely, you can merge the resource dictionaries as *.xaml files in your application (in case there is no reference to the theme assembly) in an appropriate place in your project (i.e. App.xaml). For more information about implicit styles refer to this article. 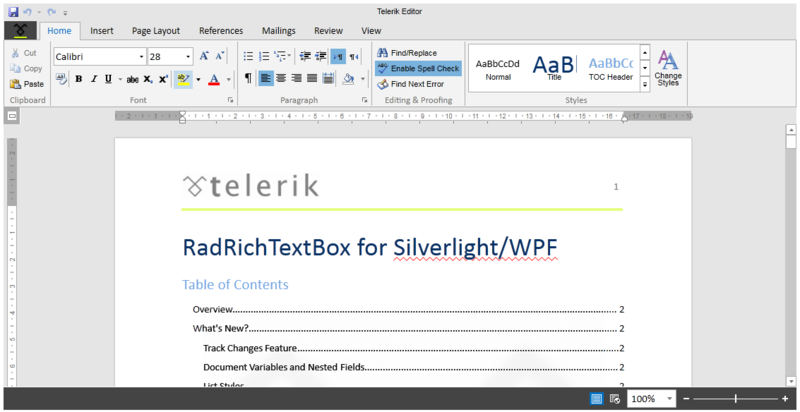 The Office2013 theme offers a very intuitive and easy way to change its color variation. You can change the variation by using the LoadPreset() method of Office2013Palette in the entry point of your application. You just have to pass to the method the desired color variation as a parameter. The DarkGrey variation of the theme is designed with a dark background in mind and it is recommended to use such a background in your application when choosing it. 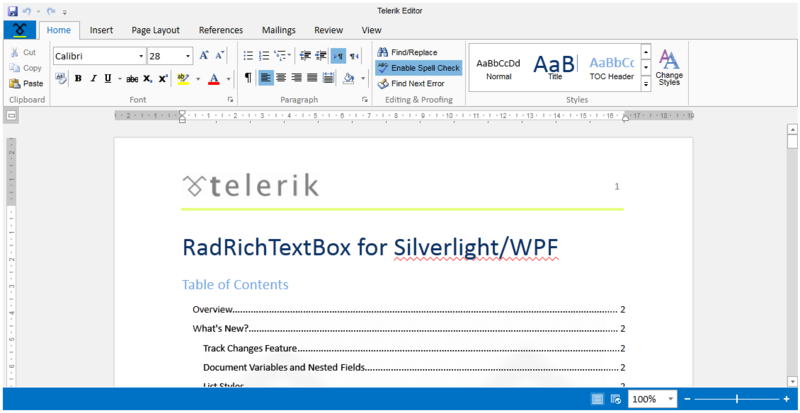 The official Q1 2015 release of Telerik UI for Silverlight introduced features that allow you to dynamically change the FontSize and FontFamily properties of all components in the application for the Office2013 theme. 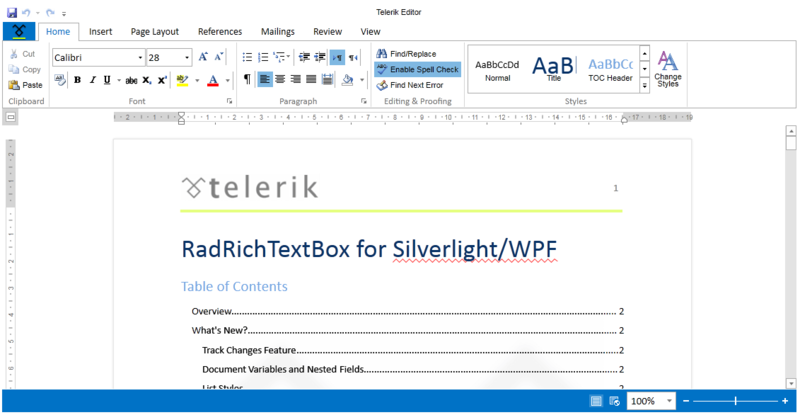 All Telerik controls use resources that are linked to one major singleton object that contains the FontSize and FontFamily properties used for the Office2013 theme. These properties are public so you can easily modify the theme resources at one single point. The most commonly used FontSize in the theme is named FontSizeL and its default value is 15. 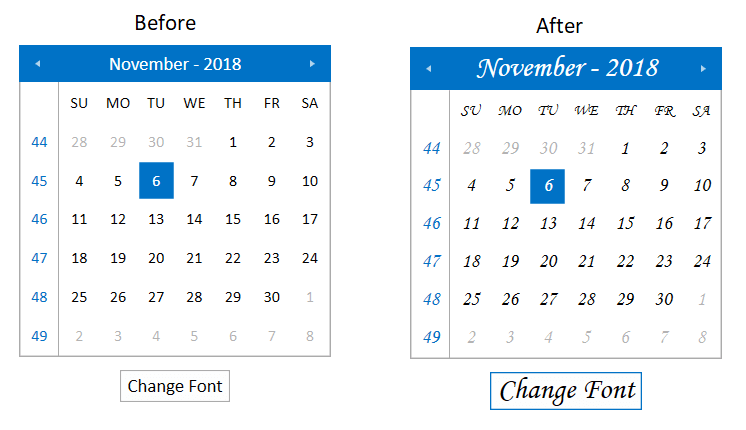 The bigger font sizes are used for headers and footers while smaller ones are used inside complex controls such as RadRibbonView, RadGauge, RadGanttView, etc. As for the FontFamily - there is only one FontFamily resource which is named FontFamily and it is set to Calibri.